Sauna, steam bath or solarium will let you help relaxing after a busy or bad weather day. For your physical fitness we have workout facilities or- you simply go jogging in the Isar meadows. The famous swimming lakes, Unterfoehring Lake and Lake Feringa are located close to the Hotel Lechnerhof. In the area you will find excellent sport facilities: tennis, golf courses, and horseback riding. No sport, but a very popular leisure is a visit to the most beautiful beer gardens of Munich, which are located close by. 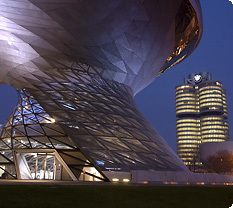 Munich is also famous for its shopping malls from luxury to everything.